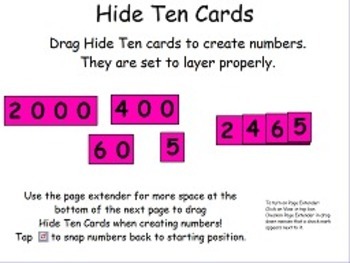 These Hide Ten Cards (1-9,000) are layered to stack properly when you are creating numbers through 9,999. 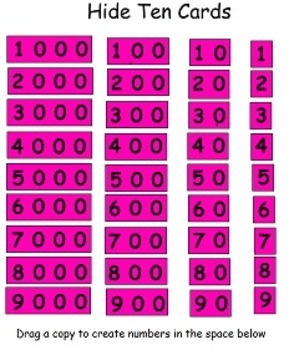 There is space at the bottom of the page to "drag a copy" of the cards to make numbers. The page easily resets to start over. No more trying to find the right cards and hold them in place for the whole class to see!